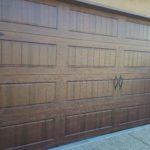 A great way to save on a new single car garage door. 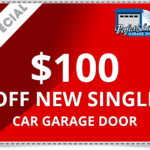 Call today and enjoy $100 off your purchase of a new garage door for your 1 car garage. 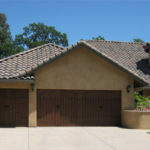 Special offer: Get $200 off any 2 NEW garage doors for your 2-car garage. 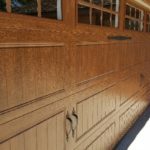 Call us today to learn more! A deal you can't pass up! 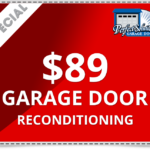 $89 gets you a full garage door reconditioning. 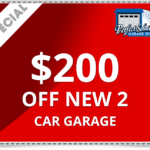 Call us today to learn more about this awesome deal! 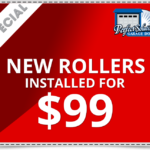 Get brand new rollers installed for just $99. 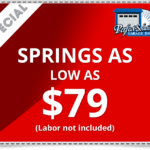 Call us today to get this great deal! We love those who serve and our seniors! 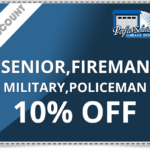 We offer 10% off ALWAYS to all seniors, firemen, military and police. Just call and mention this offer!